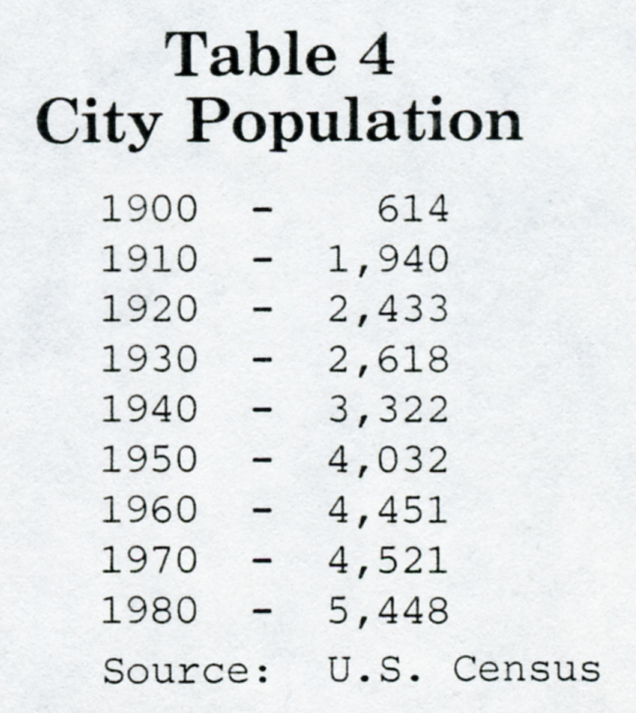 Population in the city and county remained pretty much unchanged between 1960 and 1970, but really spurted after 1970, jumping about 27% in the County. Between 1970 and 1980 Payette City grew by roughly 900 people (21%), some of which was due to annexation. 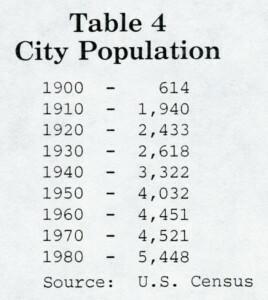 In 1980 – 82, the population in the city dropped slightly while the county remained on par. Based on this information, we observe that near term population growth will not be a significant factor in improving the retail market potential for Payette City over the next few years, and that local sales increases will pretty much have to be generated from the existing population base.